The man prosecuting mosque shooter Alexandre Bissonnette says his crime may be the most heinous act ever to take place on Canadian soil, and he wants the 28-year-old to spend the rest of his days in prison. The Crown informed Quebec Superior Court Justice François Huot today it is asking that Bissonnette be sentenced to life in prison without eligibility for parole for 150 years, 25 years for each count of first-degree murder he has pleaded guilty to. It would be the harshest sentence rendered in Canadian history since the abolition of the death penalty. "The crimes committed by Alexandre Bissonnette are unprecedented," said prosecutor Thomas Jacques in a Quebec City courtroom Tuesday, qualifying his behaviour as "base and repugnant," and his actions as "unspeakable violence." Jacques said Bissonnette targeted his victims because of their religion, which should result in a tougher sentence. "It was clearly motivated by hate," he said, suggesting that should be considered an aggravating factor. While Bissonnette was not charged with terrorism, Jacques said the impact of his crime on society was identical. "It's a black eye, a scar on our Canadian values," he said. 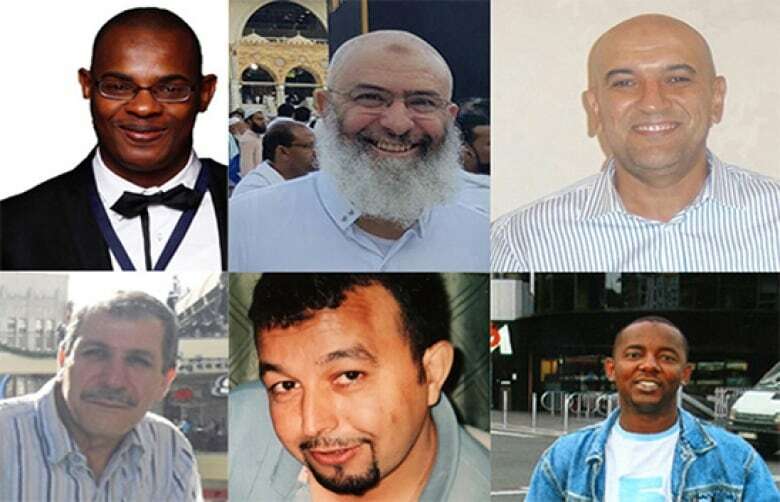 Six men died after Bissonnette went on a shooting rampage inside the Quebec City mosque in January 2017, injuring five others. Thirty-five people, including four children, witnessed the shooting that evening. 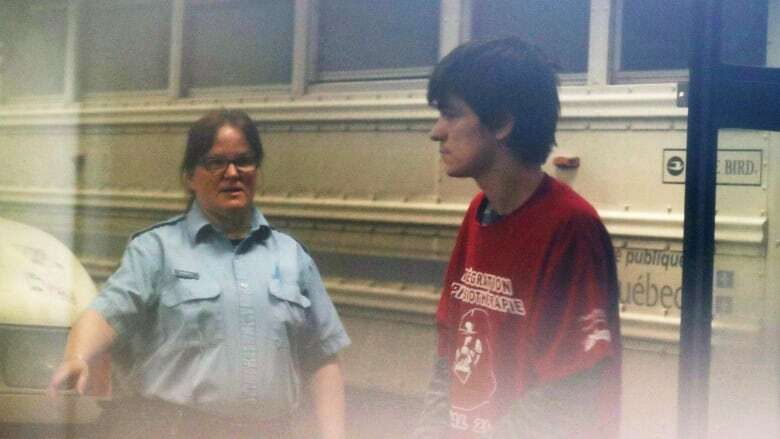 Dressed in a blue shirt, Bissonnette frowned and grimaced, appearing annoyed, as Jacques described him as being motivated by racism. According to testimony from psychiatric experts Bissonnette met in the months after the shooting, he had been consumed by the idea that religious fanatics were inside the mosque and convinced that by "killing one or two, he could save hundreds." He also told one therapist that "he regretted not killing more." Earlier in the day, the 28-year-old broke down in the prisoner's box, sobbing as the prosecutor started going over the events of Jan. 29, 2017. Referring to court testimony and documents presented during sentencing hearings in April, Jacques argued that Bissonnette had carefully planned his crime. Armed with a .223-calibre rifle and a 9-mm Glock pistol, Bissonnette was carrying a total of 108 bullets when he walked up to the mosque as Sunday prayers were wrapping up. His first two victims had just left the mosque. "Fate could have made him turn around," Jacques said, describing how Bissonnette's rifle jammed, forcing him to abandon it in the snow. The defence argued on Monday that Bissonnette had in fact forgotten to take off the safety catch. "Whatever the reason," Jacques said, "instead of being discouraged, he showed no mercy," as he pulled the Glock pistol from his pocket and gunned down Ibrahima Barry and Mamadou Tanou Barry. Jacques insisted Bissonnette's cold determination was made clear in surveillance video played in the courtroom in April. In it, Bissonnette shoots randomly into the crowded room while children ran for cover. "Bissonnette wanted to leave behind as many victims as possible," said Jacques. Jacques went on to describe how the crime had resulted in dozens of victims, leaving six women widowed and 17 children fatherless, and fractured the social fabric of Quebec and Canadian society. "This wave of hate caused harm that we cannot even measure yet," said Jacques, insisting that committing a crime inside a place of worship, "somewhere everyone has the right to feel safe," merits tougher punishment. Bissonnette's defence team completed its arguments Tuesday morning, trying to persuade Huot to impose concurrent sentences for Bissonnette instead of consecutive sentences, which would make him eligible for parole in 25 years. Defence lawyer Charles-Olivier Gosselin called the amended article of the Criminal Code which allows for consecutive sentences "deeply flawed," because it neglects the principle of rehabilitation in the Canadian justice system. "We must not minimize the fact that 25 years out of a lifetime is a long time," Gosselin said in his closing arguments, reminding the judge that with a life sentence, Bissonnette would have to answer to the Parole Board of Canada for the rest of his life. Given his young age — 27 at the time of the murders — there is a chance he could reintegrate into society one day, his team pleaded. Gosselin argued that Bissonnette was not the kind of criminal the federal government was targeting when it adopted the controversial amendment in 2011 which opened the door to multiple murder sentences being served back to back. The defence submitted 17 Canadian court cases in which serial killers had mapped out their crimes ahead of time and showed no remorse afterward. Bissonnette also collaborated with the justice system, his lawyers said, surrendering only moments after the shooting. "This is a person who is suffering, who committed very serious crimes," Gosselin said. Both parties will be back in court Wednesday to debate the constitutionality of consecutive sentences, which was challenged by the defence. Huot said that based on what he had heard, the debate was needed, "because it was probable" that he will impose consecutive sentences, he informed Bissonnette at the end of closing arguments on Tuesday. The former president of the mosque, Mohamed Labidi, said a 150-year sentence "is what the families and the community are hoping for."